Peter Shepherd was pleased to present Mike Ewart with the first Nov"ICE" prize, Mike has raced his 1299 throughout the 2014 season only missing one race. From a tricky start at Fred's Big Toephy, he has gradually improved over the course of the season consistently finishing in the top half of the results. 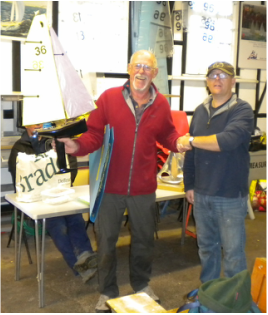 He sail exceptionally well and was most pleased to cast off his Novice status at the Cadenhead Trophy with a third place finish, a great result made even better by the presence of the 1299 designer Peter J Henderson. With his new Ice and Swing Rig sails he will no doubt be an even greater force to be reckoned with in 2015. 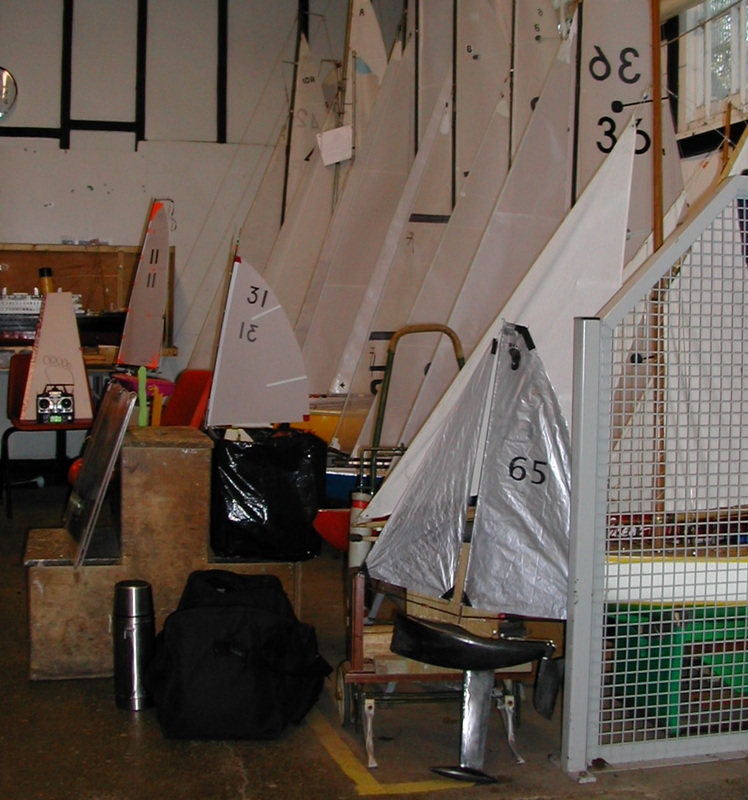 The Birmingham Open takes place at Powells Pool, Sutton Sailing Club, and is hosted by Birmingham MYC there is a well appointed clubhouse which overlooks the sailing area, it boasts tea making facilities and toilets. 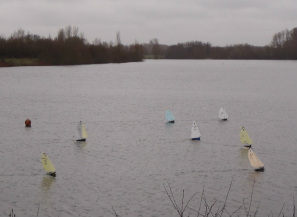 The sailing area is a gravel path alongside the lake and this is level with the waters edge. There is likely to be a strong attendance of the local skippers as this is the home of the 1299, which always makes for some interesting racing. 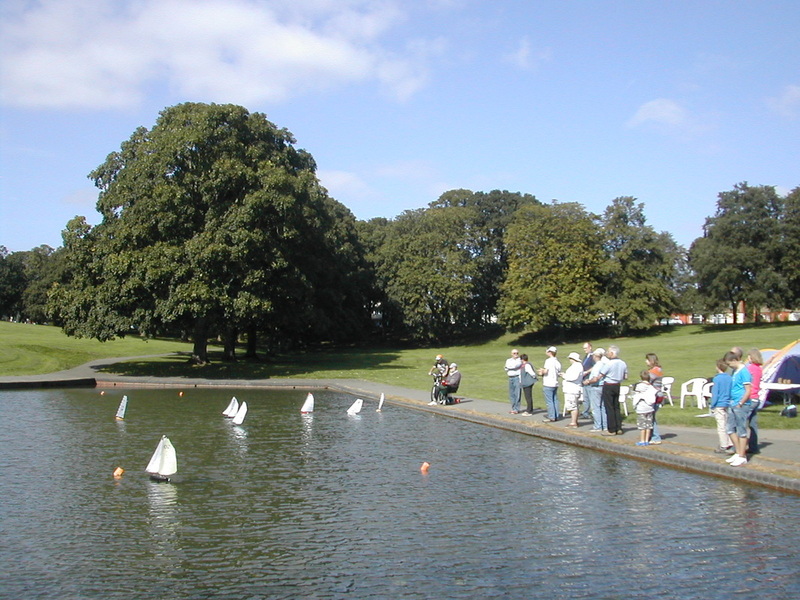 The Bassett Lowke Trophy takes place on the first of the two purpose built model boating lakes on the calender, Abington Park is a picturescue town centre park in which the model boating lake stands. Access is good with a path all around the water, parking is roadside and free although about 200 yards away from the sailing area. A much smaller venue it is plenty big enough for Footy racing and the close proximity of the general public means Abington Park MYC often get a small crowd of spectators in attendance. 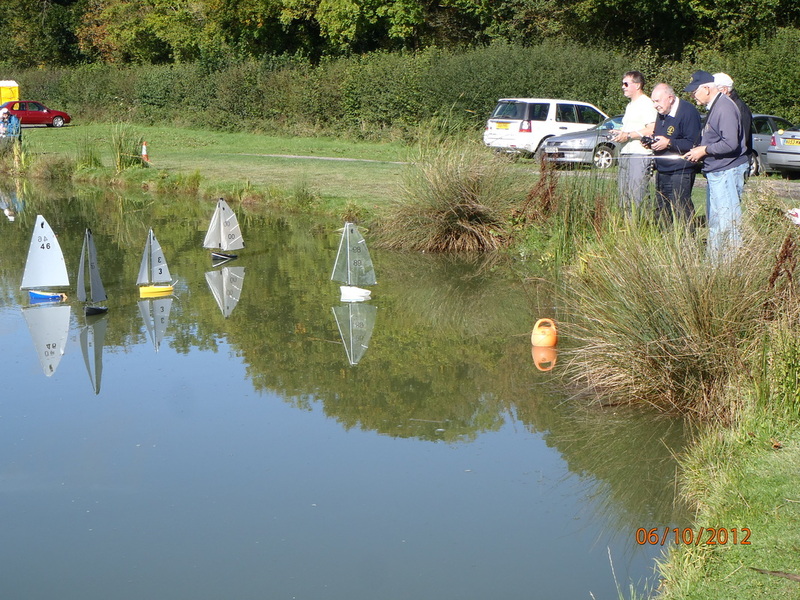 The first time on the footy calender for the Daventry Open, organising club Abington Park MYC have recently secured use of this reservoir for model yacht sailing, situated within Daventry Country Park and nature reserve. There is a small fee for parking and this is a short walk from the sailing area. The park has toilet and catering facillities, however it is a wet launch from a shelving beach, members of the club will be on hand to assist skippers with this. The Cadenhead Trophy is probably the oldest of the Footy trophies with hosts Southwater Dabblers having sailed Footies at their club since 2004. The welcome we receive is always friendly and they have two venues to choose from, both equalling each other in the challenge the Footy skipper will face. There are toilet facilities and the parking is free at both and close to the water, launching is easy, one from a jetty the other from the bank. 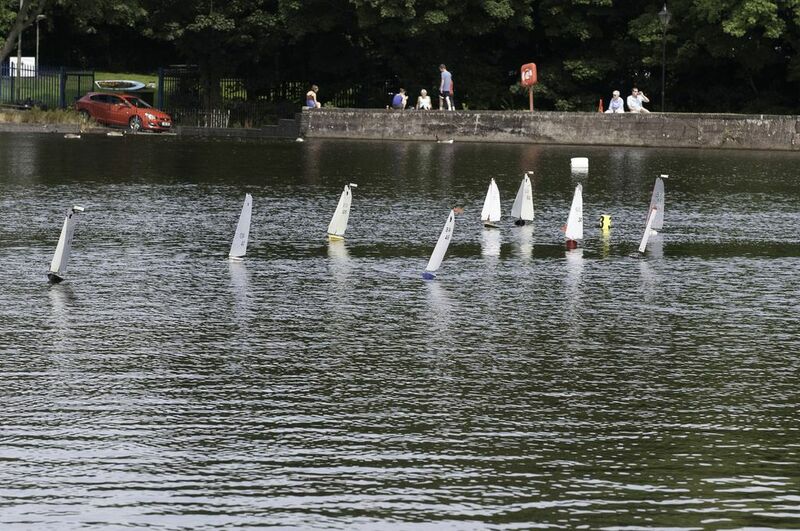 The season finale is the Bournville Open, held in the second of the purpose built model boating lakes, once again the access is good with a path around the entire perimeter and this historic club boasts a clubhouse full of interesting yachts as well as the usual tea and toilet facilities. As is usual with city centre site the wind is somewhat more unpredictable here which can give a range of interesting conditions over the distance of even a smaller Footy course. The season opener is Freds Big Toephy, it is held at Abbey Meads home of Guildford MYC. Just off the A330, the venue is a large open expanse of water, access to which is down steps and with a jetty launch, if the weather is bad stout footwear is advised. Whilst the facilities are a little limited the welcome is always enthusiastic and with some of the best Footy skippers in the local fleet and in attendance, the observant novice skipper can gain much useful information in how to set up and sail their yachts to best effect. The Footy enthusiasts are most pleased that the Videlo Globe is returning home to Frensham Ponds, Surrey this year after an absence of three years. 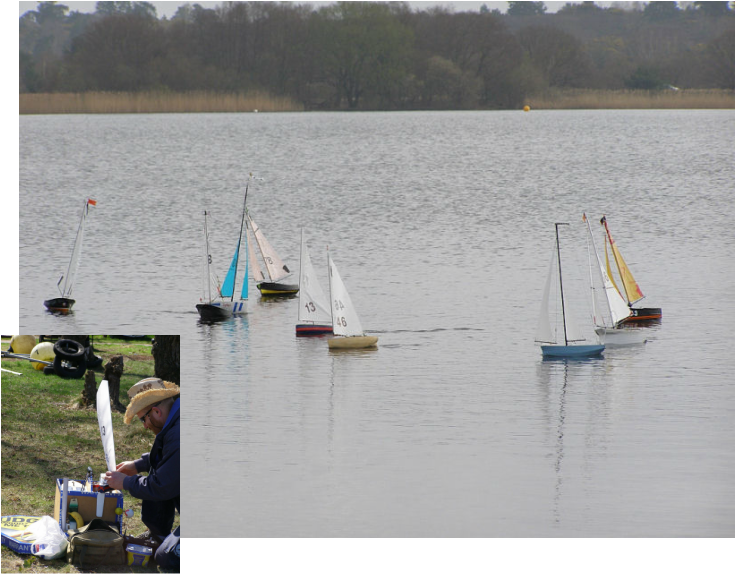 the event is being hosted by Frensham Ponds MYG part of the Frensham Ponds Sailing Club. 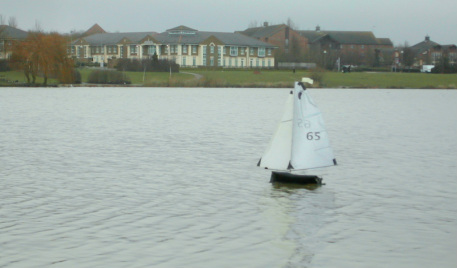 The access to the water is good with launching level to the waters edge, and competitors have use of the sailing club facilities including the clubhouse. Once again the water is a large expanse which should make for some intersting racing. 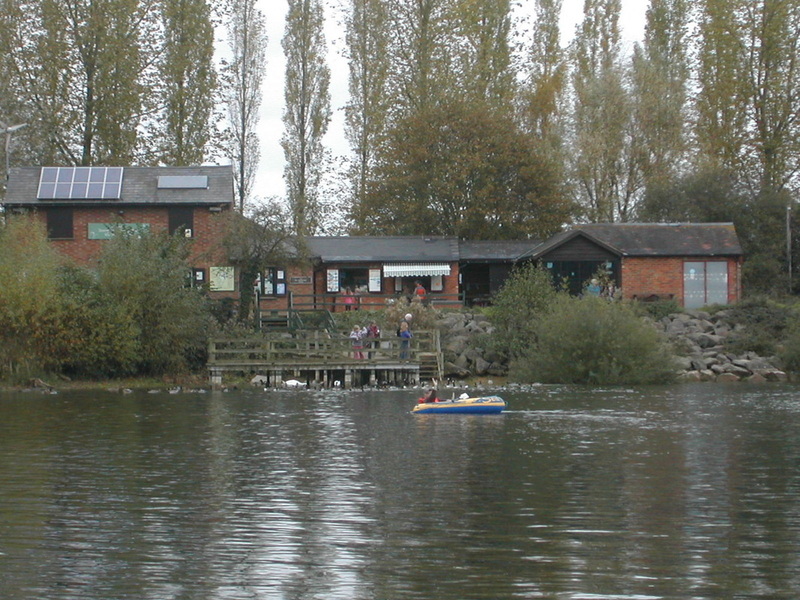 The 2014 Footy Championship is also being held at Furzton Lake, Milton Keynes, home of Two islands RYC. Access is via a short set of steps and a wide jetty, the raised bank affords a good view of the racing.